03/23/2019 06:03 STANDBY-PREARRANGED FIRE 802 PEQUEA AVE SALISBURY TOWNSHIP-Squad 47-1 & Squad 47-2. 9 Of The Paradise Members Were On Duty Crew For Rescue & Truck 42 While Their Personnel Were Working Their Annual Mud Sale. The Crews were Released @ 16:32. 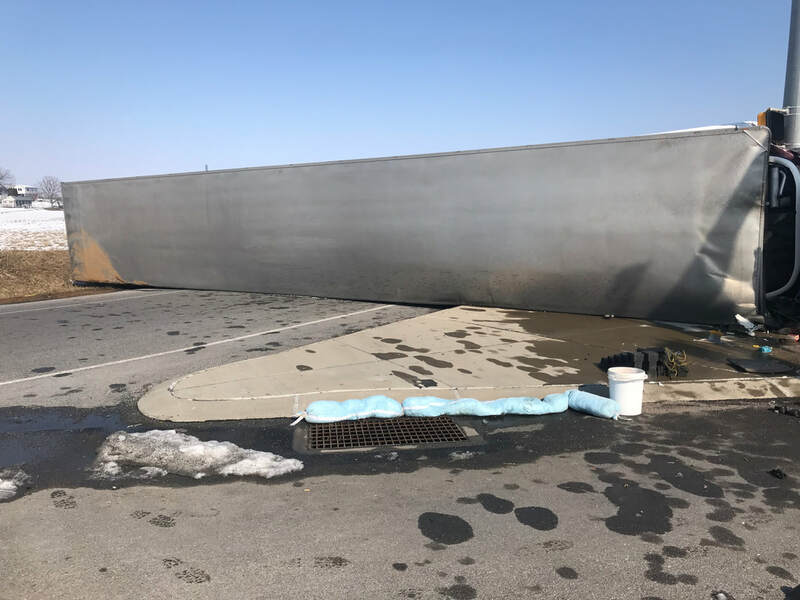 03/22/2019 05:05 RESCUE-WATER ROADWAY 145 N CONESTOGA DRIVE LANCASTER TOWNSHIP-Boat 47-2 Assist Station 63. The Assigned Units Along With Squad 47-1 (Assistant 47-2) W/5 Responded LCWC Reported A Vehicle Stranded In High Water. Station 63 Personnel made A Successful Rescue And The Boats Were Released @ 5:25. 03/19/2019 12:20 STANDBY-IN STATION FIRE 33 MARTIC HEIGHTS DRIVE MARTIC TOWNSHIP-Engine 47-2. Engine 47-2 (Captain 47) W/6 Along With Tanker 62 Were On Standby While They Were Working A Dwelling Fire. The Engine Cleared The Standby @ 14:09. 03/19/2019 03:26 VEHICLE ACCIDENT-CLASS 1 SOUTH BELMONT ROAD / RAILROAD TRACKS PARADISE TOWNSHIP-Engine 47-2, Rescue 47 & Squad 47-1. Chief 47, Rescue 47 (Lt.47-3) W/8 Arrived With One Vehicle Off The Road In A Field. Squad 47-2 (FF Yunkin) Responded For Traffic Control. The Fire Police Cleared The Call Last @ 07:29. 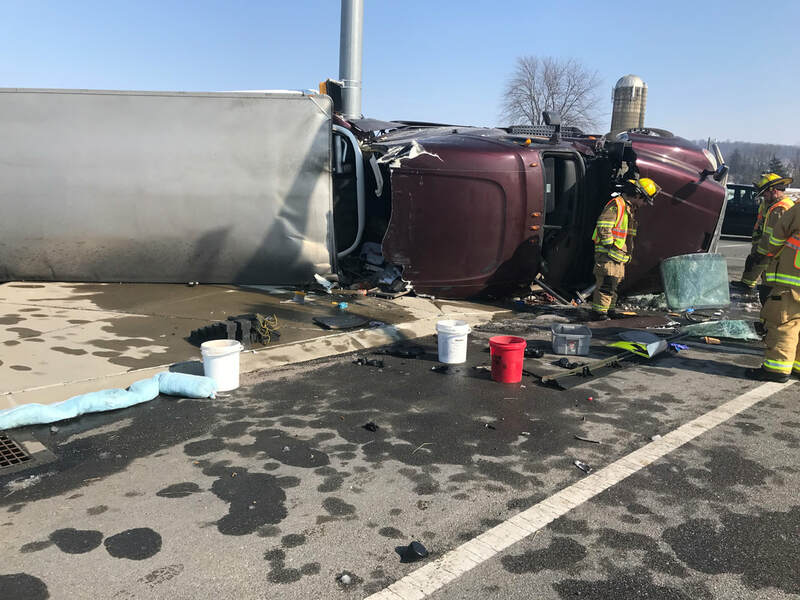 03/15/2019 13:14 VEHICLE ACCIDENT-UNKNOWN INJURY LINCOLN HIGHWAY EAST / N BELMONT RD PARADISE TOWNSHIP-Rescue 47, Engine 47-2 & Squad 47-1. 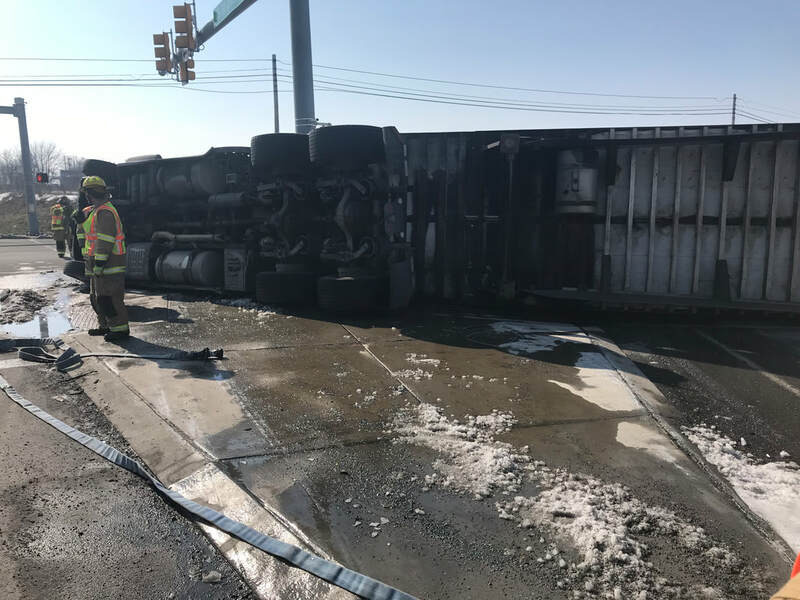 Chief 47, Rescue 47 (Assistant 47-2) W/6 & Engine 47-2 (Safety 47-2) Arrived The Scene With Several Vehicles Involved With Crews Doing Fluid Control & Traffic Control Around The Scene. The Units Cleared The Scene @ 14:22. 03/09/2019 19:32 BUILDING-OUTBUILDING-1A 55 FIELDCREST LANE LEACOCK TOWNSHIP-Engine 47-2 And Rescue 47 Assist Station 44. Engine 47-2 (Lt.47-1) W/6 And Rescue 47 (Captain 47) W/6 made The Response. The 44 Units Arrived With Nothing Showing And the Box Alarm Was held To Station 44 Units And 47 House Cleared The Call @ 19:42. 03/09/2019 14:26 VEHICLE ACCIDENT-TRACTOR TRAILER NEWPORT RD / LINCOLN HIGHWAY EAST SALISBURY TOWNSHIP- Rescue 47 Assist Station 42. Rescue 47 (Assistant 47-2) W/8 Arrived To Assist Station 42 With Spill Control. The Rescue Cleared The Scene @ 15:28. 03/01/2019 14:30 VEHICLE ACCIDENT-STANDBY 3465 LINCOLN HIGHWAY EAST PARADISE TOWNSHIP-Fire Police 47 Assist Station 45. Squad 47-2 W/4 Responded To Mcilvaine Road & Rt 741 To Assist With Traffic Control. The Squad Returned @ 16:22. 02/28/2019 19:13 INVESTIGATION-INSIDE 66 S BELMONT ROAD PARADISE TOWNSHIP-Engine 47-2. Chief 47 And Engine 47-2 (Captain 47) W/7 Arrived Finding A With An Appliance Issue And Cleared The Call @ 19:17. 02/24/2019 07:13 BUILDING-COMMERCIAL-2A 232 W MAIN STREET UPPER LEACOCK TOWNSHIP- Rescue 47 Assist Station 61. Rescue 47 (Lt.47-3) W/7 Arrived Establishing RIT. The rescue Cleared The Call @ 10:08. 02/23/2019 13:23 INVESTIGATION-OUTSIDE 3200 LINCOLN HIGHWAY EAST PARADISE TOWNSHIP-Engine 47-2. Chief 47 Responded LCWC Reported Smoke In The Area Of Railroad Ave And RT.30. Chief 47 Arrived And Reported The Smoke Coming From Strasburg Railroad Steam Engine And Recalled The Alarm @ 13:39. 02/20/2019 16:18 VEHICLE ACCIDENT-CLASS 1 MCILVAINE RD / STRASBURG ROAD PARADISE TOWNSHIP-Rescue 47, Engine 47-2 & Squad 47-1. The Original Dispatch Was At Belmont Road & Rt 741 Intersection. Chief 47 Responded And Arrived At The Intersection With Nothing There. Chief 47 Headed East On Rt 741 And Found The MVA east Of Mcilvaine Road making It A 45 Box. Rescue 47 (Captain 47) W/8 Arrived Working With Traffic Until The arrival Of Engine 45-2. The 47 Units Cleared The Call @ 16:38. 02/19/2019 18:23 AUTO ALARM-RESIDENTIAL 51 HARRISTOWN ROAD PARADISE TOWNSHIP-Engine 47-2. Chief 47 Responded LCWC Reported Kitchen Smoke. Chief 47 Arrived Several Minutes Later And Reported From Cooking And Recalled The Company @ 18:29. 02/10/2019 22:11 BUILDING-DWELLING-1A 181 QUARRY ROAD BART TOWNSHIP - Rescue 47 Assist Station 51. Rescue 47 (Lt.47-1) W/7 Responded And Was Recalled While Enroute @ 22:24. 02/01/2019 09:15 AUTO ALARM-COMMERCIAL 3333 LINCOLN HIGHWAY EAST PARADISE TOWNSHIP-Engine 47-2 & Rescue 47. Chief 47 Responded LCWC Reported The Occupants Are Steaming Off Wall Paper. Chief 47 Arrived Several Minutes Later And Confirmed The Report And Recalled The Department @ 9:24.